The fire retardant agent is discharged from the ceiling –highest point) into the protected enclosure. An ‘interface’ with a constant concentration - known as the Initial Concentration) descends from the discharge level as gas leaves escapes from the enclosure via air leakage paths. The time it takes for this ‘interface’ to reach the minimum protected height such as the top of the server racks is defined as the Hold time. The time retention time for a Room Integrity Test Pass is usually set at 10 minutes. The suppressant Agent is discharged at near-ceiling level into the enclosure, thereafter fans circulate gas throughout the room, resulting in a uniform agent concentration. This concentration begins at initial concentration and lowers until it eventually reaches a specified minimum concentration. The time it takes for the initial concentration to reach the minimum concentration is defined as the hold time. Typically extended discharges consist of an initial discharge for 10 to 60 seconds to get the concentration up to the design concentration. Then the extended discharge will continue at a lesser rate. The intention is for the extended discharge to replace the agent that leaks out of the room. It is assumed that the extended discharge will create enough turbulence to create a continual mixing situation throughout the extended discharge period. We hope the above information has been helpful, if you require a room integrity test, please contact us now at info@airpressuretesting.net or call us on 07775623464. Smoke testing is one of the best ways of locating air leakage paths. Smoke generators or smoke pencils are used to help identify air leakage paths in the case of a Room Integrity test failure. Air Pressure Testing's highly trained and experienced Enclosure Testing Engineers will be able to locate the problem areas and identify where air is leaking out of the building by walking around the test enclosure with a localised smoke puffer, pencil checking the most common problem areas first. 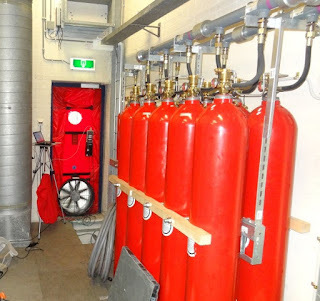 If required we can also undertake a large scale smoke test using a large capacity smoke generator, however this is only usually required on protected enclosures such as large data centres, however on 95% of projects we usually find that by using our experienced Air Tightness Engineers and a smoke puffer the air leakage paths can be accurately located. The smoke won’t cause any damage to the building; however the building does needs to be emptied of all people for basic Health and Safety reasons, i.e. people falling down stairs or tripping over cables due to the poor visibility. Also, it is very important that the client contacts the local Fire Brigade to inform them of the smoke test to avoid unnecessary call outs and subsequent costs. By combining our fan testing equipment, we blow the smoke out through any penetrations in in the enclosure envelope; this makes the air paths more visible. Smoke leaking from the enclosure can also be seen outside, and photographed to provide a record of any external leakage paths. Pressurised Smoke tests are ideal for identifying both generic and torturous areas of air leakage. Once the smoke test has been completed and a smoke survey report forwarded to the client, targeted remedial works can then be undertaken to seal the building envelope. Once the appropriate remedial work has been undertaken the enclosure can be retested to confirm if the enclosure has passed the room integrity test and an acceptable level of integrity has been reached. If you would like some more information in regards to Room Integrity Testing on your protected enclosure, please contact us now at: info@airpressuretesting.net, or call us on: 01525 303905. We have collated some of the most frequently asked questions related to Room Integrity Testing. We hope it helps to you to understand the requirements of BS EN 15004. Why do I need a room integrity test on my server room? 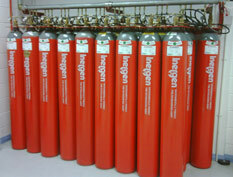 A - The test is a requirement of the British Standard for gaseous fire extinguishing systems – BS EN:ISO 14520. Most fire insurers will require evidence that the test has been conducted and the result is satisfactory. How quickly can a room integrity test be arranged? A - Usually within a few days. How long does the enclosure test take? A - Usually between 1 and 2 hours. 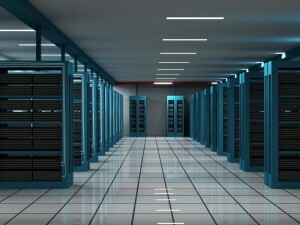 Will the server room integrity test set off alarms? A - No. The enclosure test is completely independent of the detection system. Is the room integrity test disruptive? A - No. It is only necessary to stop access to the room for 10-15 minutes. Personnel can continue to work in the room. The enclosure test can be paused if immediate access becomes required. Do servers need to be switched off during the enclosure integrity test? A - No the equipment can keep running. Do air conditioning units need to be switched off during the enclosure integrity test? A - Recirculation (chiller) units may continue to run. Air supply/extract ducts passing into the enclosure will need the dampers closed or temporarily sealed. Will I get a certificate if I pass the room integrity test? A - It will be issued within a few days. This should be retained for possible inspection by the authorities/insurers. A summary certificate can be issued at the time of enclosure test if required. Where do I store the pass certificate? A –It is a good idea to laminate the certificate and then attach it to the front of the enclosure door, as it lets the fire officer know when the next annual test should be undertaken. What happens if the room fails the server room enclosure test? A - We can carry out an inspection to identify leakage paths for remedial sealing. These will be pointed out at the time of the enclosure test and a plan included in the report. It is recommended that a retest be conducted after remedial action to confirm the adequacy of the retention time. Can remedial sealing be done at the time of the server room enclosure test? - Yes, provided the leakage can be swiftly remedially, or temporarily, sealed. Can APT undertake remedial sealing? 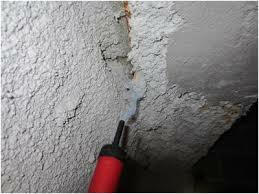 A- Yes we can do this if requested or the client can arrange remedial sealing themselves. Do you supply any literature to help us prepare for the enclosure test? A - Yes, we supply all our clients with an easy to follow checklist to help them prepare for the room enclosure test. How often should the room integrity test be undertaken? A - The relevant British Standard (BS EN:ISO 14520) specifies that the test should be conducted annually as part of routine maintenance and/or after works have taken place to the enclosure envelope. If you would like more information in regards to a server room integrity test, please contact us now at info@airpressuretesting.net or call us on 07775623464. It is a requirement of the BFPSA that all protected enclosures have valid enclosure certification; it’s also a requirement of all major commercial institutions. The benefits of ensuring room integrity are widely recognised by insurers and regulatory authorities, who frequently require such testing to prevent critical system failure valuable assets such as server rooms and data centres. In the relevant ISO standard BS EN15004, it states that it is ‘mandatory that as a minimum you should undertake room integrity testing annually on your enclosure if it’s protected by a gaseous fire suppression system’. If you don’t have valid enclosure certification you may negate your buildings insurance in the event of a fire. The certification should always be attached to the front of the protected enclosure. If you don’t have the certification fixed to the front of the enclosure, then the chances are that your enclosure does not have valid certification. Sometimes there can be some confusion as to the amount of testing required. Many clients/insurers think that the envelope does not require testing until modifications have taken place, and so the testing is not carried our annually. In many cases they are not even aware that works have taken place thus reducing the integrity of the enclosure envelope. As a minimum the room integrity test should be undertaken annually or straight after modifications have taken place to the enclosures envelope. To reduce the chance of potential fire damage to your valuable assets, it is essential that a room Integrity test plan is adhered to at all times. APT can formulate a testing schedule and warn you of any impending tests to ensure you have valid certification at all times. If you are unsure if your protected enclosure requires testing, please contact us now at: info@airpressuretesting.co.uk or call us direct on: 01525 303905. We offer a rapid response service throughout England and Wales to ensure you have valid certification in place. How often is a Room Integrity Test required? 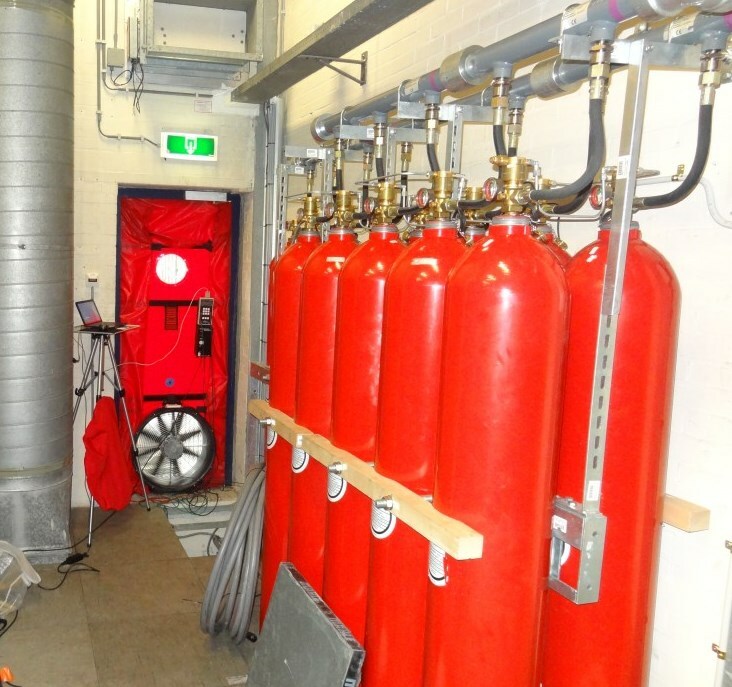 It is a requirement of British Standards BS EN15004 that any gaseous fire suppression system that protects an enclosure should have a room integrity test when it is commissioned and annually thereafter. It should also be retested if any works are carried out to the building envelope, this can include works such as the installation of a new door or seals and new cables, pipe work or ductwork. Studies reveal that the predominant cause of failure of gaseous extinguishing systems is poor room sealing. It is also found that room integrity performance reduces with time, usually due to changes in construction, cabling or services or simply by natural movement of the enclosures envelope. It is important to ensure that good room integrity is established and maintained within areas such as data centre spaces, particularly bearing in mind the potential consequences of system failure. How long will the Room Integrity Test Take? Our high powered testing equipment can undertake enclosure tests on rooms with an envelope up to 900m2. The room integrity test usually takes between 25 - 30 minutes to set up - as long as the room is fully prepared and isolated. Once we have set up the equipment the test takes a further 10 -20 minutes to conduct if it results in a pass. If the enclosure fails the test it may take longer to inspect if smoke testing is required due to a test failure. The results can be produced on the same day, with the full detailed report within 24 hours. We can usually undertake up to two room integrity tests on the same site during a single visit, if the enclosures are in close proximity and are fully prepared for the testing. It is worth noting that throughout the test, there is no requirement to shut down any Computer equipment within the test enclosure so disruption can be kept to minimum. We offer a rapid test response service throughout England and Wales as we know the importance of protecting your high value systems and assets protected from fire damage. If you would like some more information in regards to Room Integrity Testing on your protected enclosure, please contact us now at info@airpressuretesting.co.uk or call us direct on: 01525 303905. A room Integrity test predicts how long fire suppressant agents take to descend to a given level in the room without having to discharge the actual suppression system – this is usually 10 minutes for the most popular gases). The room is then sealed, and then a series of tests is undertaken. A blower fan unit is temporarily fixed into the test doorway to pressurise and de-pressurise the enclosure, afterwards a series of pressure and air flow measurements are taken from which leakage characteristics of the enclosures are established. The predicted retention time is then calculated using the extinguishing system data and the leakage characteristics.